The main part of the composition occur in iron — 40−50%. The structure also includes a cobalt, its share is about term percent. The magnetically soft precision alloy with a magnetic saturation of not less than 2.35 T, a high Curie temperature of 950 °C and high magnetostriction. Soft magnetic materials have high value of initial magnetic permeability, can be magnetized in weak fields and to saturation. These include the following alloys, whose composition in addition to iron include cobalt and vanadium. Supplier of precision alloy is certified products. Technical documentation has all the information regarding the chemical composition, percentage of impurities and mechanical properties of precision sheets. We can buy a precision round, wire, pipe at a reasonable price. For wholesale buyers we offer precision alloy with discount discount. 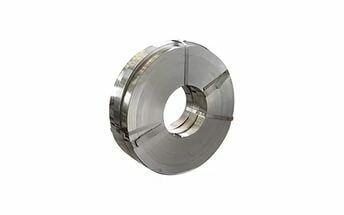 Precision circle, wire, pipe, permendur 49 from the supplier Electrocentury-steel can be purchased wholesale or retail. On the website reflected the price and mix of products to date. Excellent product quality and reasonable price — face provider Electrocentury-steel. Regular customers can buy precision round, wire, pipe, permendur 49 using the discount system of discounts from the company Electrocentury-steel. Delivery is carried out from warehouses located in Russia and Ukraine.